I’m contemplating my last two weeks in Tamale as I sip my favorite African cider, Savannah Dry, at Accra’s airport while waiting to board my flight to Johannesburg. 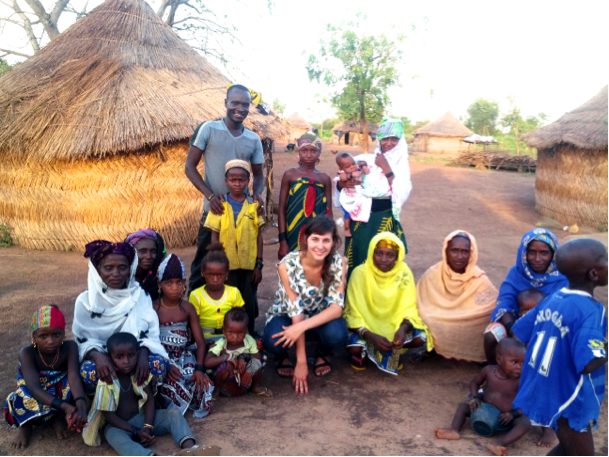 My time in Ghana was wonderful and I am really sad to leave. On Thursday, Peter and I went to Jarayili to present our results to the community. I was so excited! My lab tests showed that rainwater collected in Jarayili households is almost always contaminated with both total coliform and E.coli, which in turn makes rainwater entirely unsafe to drink. 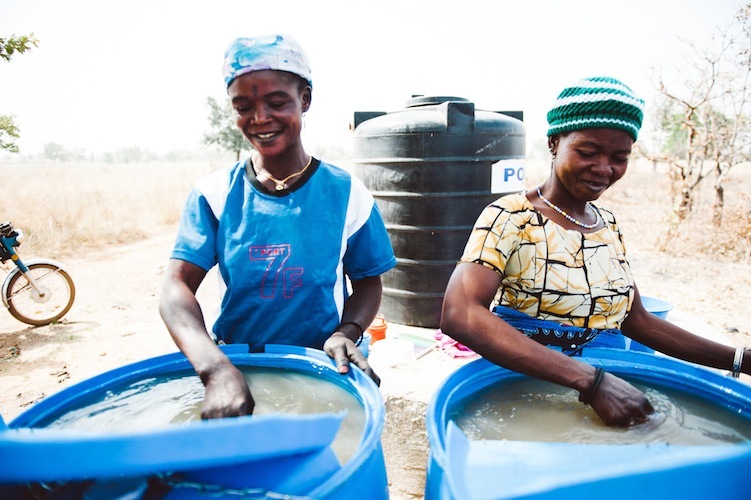 In addition, my tests indicated that polytank water is very rarely contaminated, which is exciting because this means that Suayba and Awulatu are doing an excellent job as co-owners of Jarayili’s water business! When I first began the project two weeks ago, I assumed rainwater would be the cleanest because it falls from the sky, whereas the polytank water comes from a muddy dugout infested with mosquitoes, total coliform, E.coli, and who knows what else. I now realize that collected rainwater is unsafe to drink because it is highly susceptible to contamination. For instance, one finger dipped into an entire 70-liter bucket of rainwater threatens the pureness of the water. In addition, hygiene is poor in the village, which increases the likelihood of contaminating the rainwater. Finally, the dugout water is treated with alum (to reduce turbidity) and chlorine (to kill contaminants), which is residual. This means if if a single finger is dipped into a 70-liter bucket of polytank water, the residual chlorine will keep the water from being contaminated days after it was first treated. My recommendation to the community was to always buy polytank water, even throughout the rainy season. I explained to the villagers that paying for clean water may not be their first choice now, but it will benefit them in the future because medical bills for diarrhea, typhoid, and cholera are high. They understood. In addition, Peter and I talked to the community about the relationship between clean water, health, and hygiene. Jarayili’s chief, elders, women, and men engaged in a lively discussion at the end of our spiel, which made me think that Peter and I made a lasting impression. 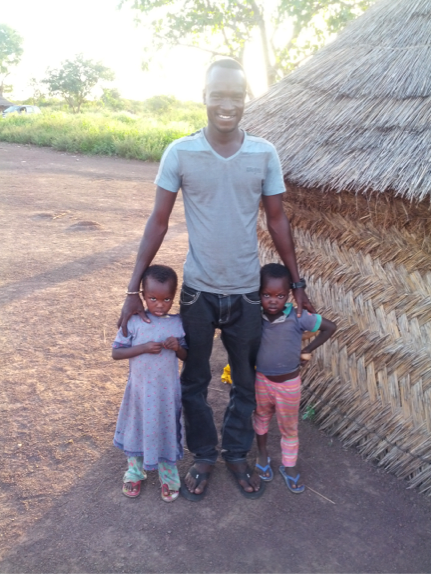 I really believe Jarayili families will prioritize clean water in the future. Abby and Peter doing an educational presentation using salt water to show that clear water like rainwater is not always safe for drinking. I already miss seeing Suayba’s cheery smile every morning. I really hope I can come back to check up on Jarayili in the future! This entry was posted in Jarayili, Thank you!, The Global Water Crisis, The Saha Team and tagged Entrepreneurship, Ghana, rainwater, Rainwater Collection, recontamination, safe storage, Tamale, water treatment. Bookmark the permalink.